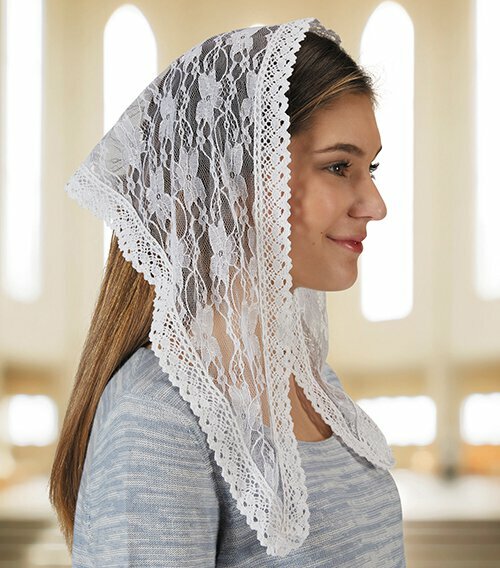 For many years, women have worn veils in Church. It is meant to be a symbol of modesty and humility before God. 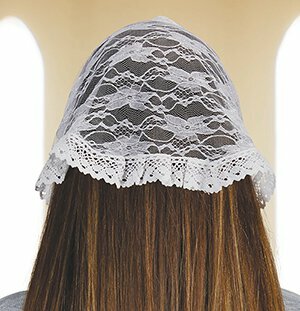 Our modern style chapel veil is shorter in the back to accommodate both long and short hair styles. Veil comb not included – we suggest using hair pins to secure if necessary.